5. Got your dairy today? Here are some very simple, high flavor recipes for your “mini meals”. Hard-boiled EGG: Place eggs in a saucepan and cover by 1 inch of cold water. Bring to a boil then remove from the heat and cover with a lid. Allow to sit for 10 minutes. Pour off the hot water and run cold water over the eggs to cool. Peel the eggs and enjoy. Sprinkle with some salt and some paprika or fresh lemon zest and pepper, or some fresh chopped herbs to mix it up a bit. CHEESE and crackers: Combine 1 ounce of cheddar with your favorite preserves, I like peach or fig, on a whole grain cracker. Or eat along with some dried fruits like apricots or cherries. Try cheese and pickles, sliced pear or apple. NUTS & SEEDS: Mix together 3 cups of whole nuts such as almonds, walnuts, or cashews with a ¼ of each sunflower seeds, flax seeds, and pumpkin seeds. Whisk together 2 egg whites, 2 tablespoons honey, 1 ½ teaspoons salt, ½ teaspoon each of cinnamon and cumin, and a small pinch of cayenne. Add this to the nut and seed mix and toss to combine. Spread in an even layer on a sheet pan and bake in a 325°F oven for about 30-35 minutes, stirring occasionally. Remove from the oven and allow to cool slightly before scraping from the pan. Cool completely before storing. ALMOND: Spread 1 slice of whole grain bread with almond butter and top with thinly sliced apple or pear and pasteurized goat cheese. CUCUMBER: Spread 1 slice of toasted whole grain bread with low-fat ricotta cheese. Sprinkle some fresh chopped herbs like dill or parsley, salt and pepper, and fresh squeeze lemon juice on the cheese. Top with thinly sliced cucumbers. 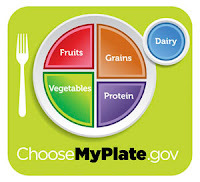 GREEK: Spread 1 slice of whole grain bread with Greek style yogurt. Drizzle with some honey, sprinkle with cinnamon and sliced almonds or pistachios. CHICKEN: Serve 3 ounces of cooked chicken with some good grainy or Dijon mustard and sliced apples (gala, or granny smith). TUNA: Serve 2 ounces chunk light tuna with ¼ cup cooked white beans drizzled with some olive oil, lemon juice, salt and pepper, and chopped parsley. TOMATO: Chop or slice up about a cup of tomatoes and serve with 1 ounce of pasteurized low-fat feta or fresh mozzarella. Dress with some good olive oil, balsamic vinegar, salt and pepper, and chopped fresh parsley or basil. 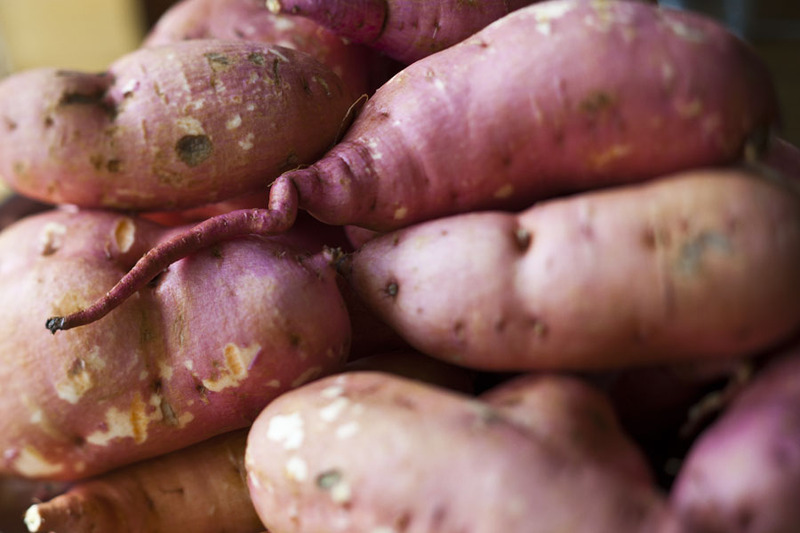 SWEET POTATO: Wash a sweet potato and pierce all over with a fork. Place in a covered microwave safe dish and add a little water. Microwave on high for about 6-8 minutes turning potato over half way through the cooking time. Serve with a dollop of sour cream or plain yogurt, a squeeze of lime juice and some cumin or smoked paprika. You can also serve with a splash of soy sauce or just a sprinkle of cinnamon. YOGURT: Combine ¼ cup Greek style yogurt with salt, pepper, a squeeze of lemon juice, and chopped fresh herbs like dill, cilantro, parsley, and basil or a good pinch of dried Italian herbs and some lemon zest. Serve with raw vegetables or whole grain crackers. 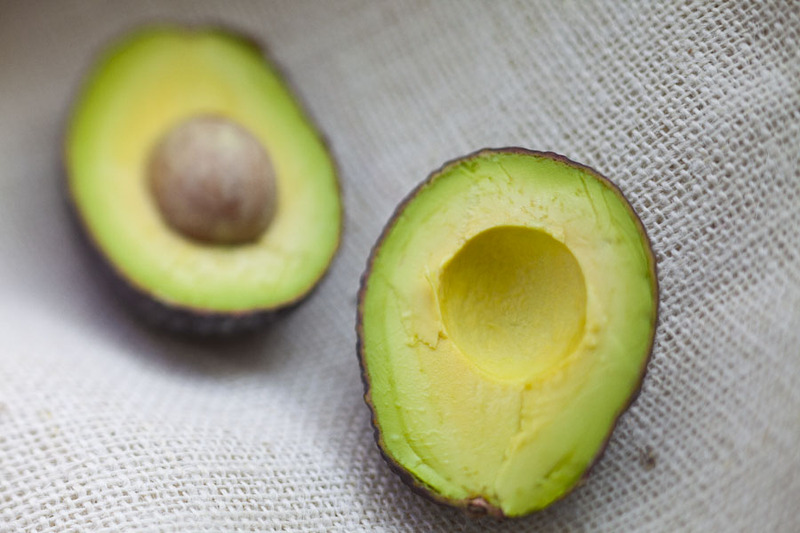 AVOCADO: Smash up 1 ripe avocado with some lime juice, and salt and pepper. Stir in some fresh chopped cilantro and finely diced red onion. Serve with fresh vegetables or baked tortilla chips. 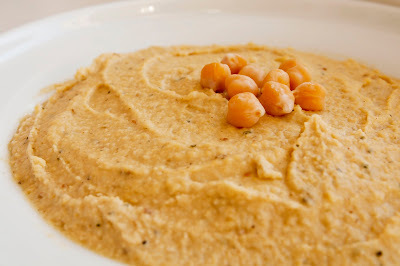 For the hummus: In the bowl of a food processor combine garbanzo beans, lemon juice, tahini, garlic powder and salt. Process until combined. With the processor running, slowly drizzle in the oil. If you prefer a thinner consistency add water until the desired consistency is achieved. For the harissa: Combine the coriander, caraway and cumin seeds in a small skillet and toast over medium heat for 2-3 minutes until you begin to smell the seeds and they start to crackle. Remove from the heat and allow to cool. Grind to a fine powder using a spice grinder. Move to a blender and add the garlic, paprika, red pepper flakes and olive oil. Blend until it becomes a smooth paste and salt to taste. Transfer to a glass jar and cover with a layer of olive oil. Store, tightly sealed, in the refrigerator for up to a month. For the pita: Cut pita into triangles and brush with olive oil. Toast in a 350°F oven for 20-25 minutes on a sheet pan with a rack. To serve: Place hummus in a shallow bowl and drizzle with oil and small amount of harissa, serve remaining harissa on side. Eating well is one of the nicest things you can do for yourself. And with these foods the health benefits are through the roof! Your taste buds will be grateful too! So you don’t have to choose between foods that are good and good for you. 1. Avocados - Creamy, succulent avocados not only contain the best kind of fat (monounsaturated oleic acid) but also help your body block the absorption of bad fats (cholesterol). They're high in lutein, which aids eyesight, and in potassium and folate, which may reduce the risk of stroke and cardiovascular disease. And they're low in pesticides. (Luckily these are in season right now! No waiting…) Recipe here. 2. 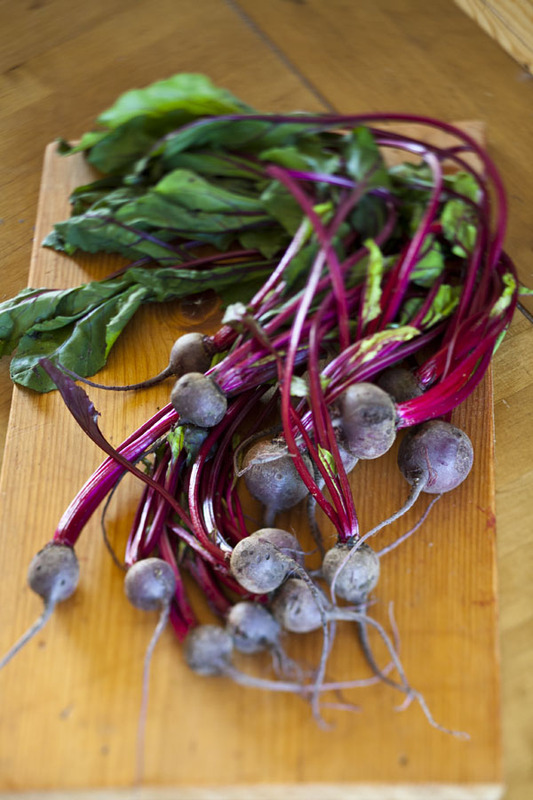 Beets - The pigment betacyanin, which gives beets their distinctive hue, is just one of several disease-fighting phytonutrients found in this root vegetable. Beets are also a good source of folate, which guards against birth defects, colon cancer, and osteoporosis, and are high in fiber and beta-carotene. Recipe here for yummy beet salad. 3. Horseradish - Glucosinolate-rich horseradish fights cancer and kills bacteria. It's also a good source of calcium, potassium, and vitamin C, which, among other things, helps maintain collagen. 4. Sweet Potatoes - Whether orange or white, sweet potatoes contain phytonutrients that promote heart and eye health and boost immunity. They're flush with beta-carotene (thought to lower breast cancer risk) and vitamin A (which may reduce the effects of smoking). Recipes here. 5. 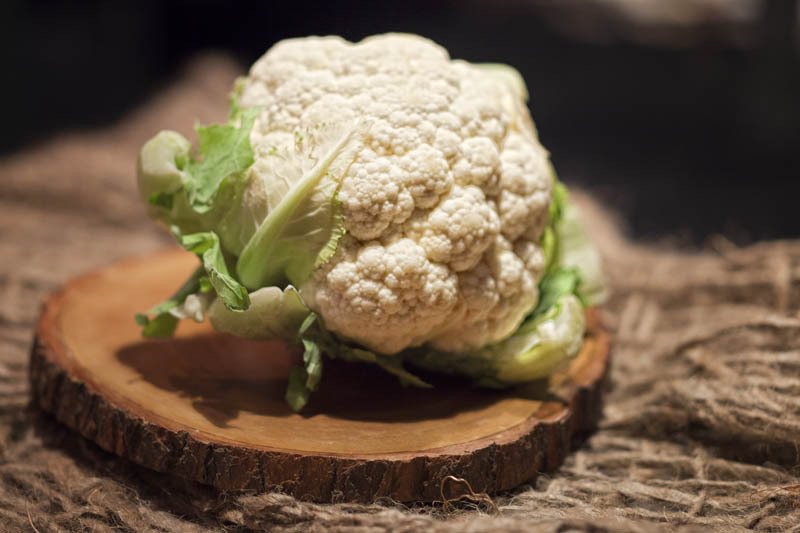 Cruciferous Vegetables - Cruciferous vegetables—cabbages, cauliflower, broccoli rabe—contain a powerful range of disease fighters. One particular hero, sulforaphane, may increase enzymes that lower the incidence of colon and lung cancers. Recipes here. 6. Blueberries -Fresh or frozen, blueberries have sky-high levels of antioxidants, which combat the damage done by inflammation. 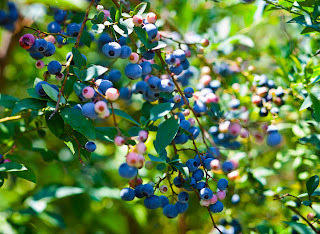 Anthocyanins, the natural plant compounds that give blueberries their deep color, may have antidiabetic effects as well. 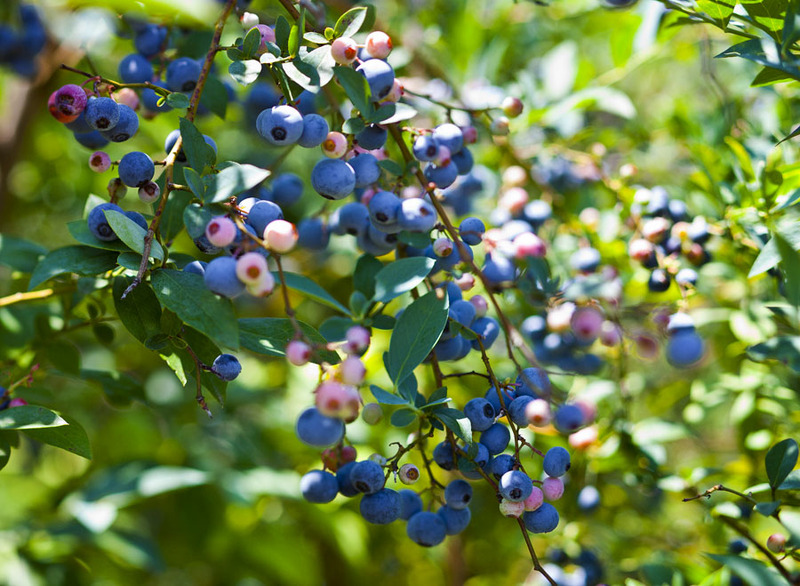 And new research suggests blueberries might protect the heart muscle from damage. Recipes here. 7. Dark, Leafy Greens - Dark, leafy greens such as spinach, kale, and swiss chard are an excellent source of iron (especially important for women), vitamin A, and lutein for eye health. Best of all, you know those omega-3s everyone's talking about? They reside in dark greens (including seaweed, which is why they're concentrated in fish). Recipes here. 8. Alliums - Alliums, the botanical family that includes leeks, onions, and garlic, share many remarkable traits. They can help lower blood pressure and cholesterol levels. Research suggests they inhibit the growth of prostate, stomach, and colon cancer cells. 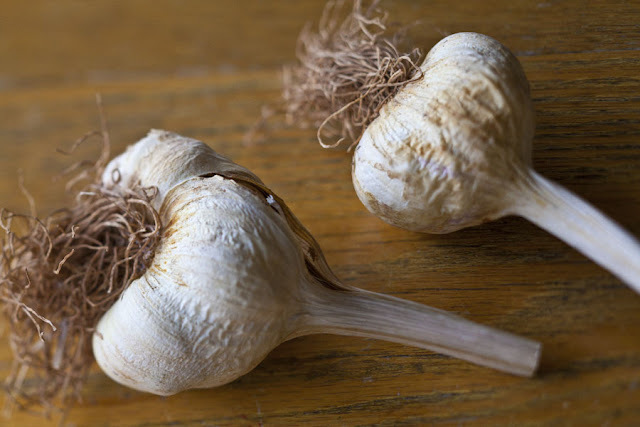 They also have antibiotic properties—so they can ward off germs as well as vampires. Recipes here. 9. 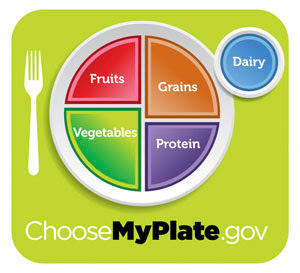 Whole Grains - Don't eat whole grains (such as buckwheat, wheat berries and quinoa) just because they are high in magnesium, B vitamins, fiber, and manganese. Do it because they taste great—nutty, buttery, earthy. 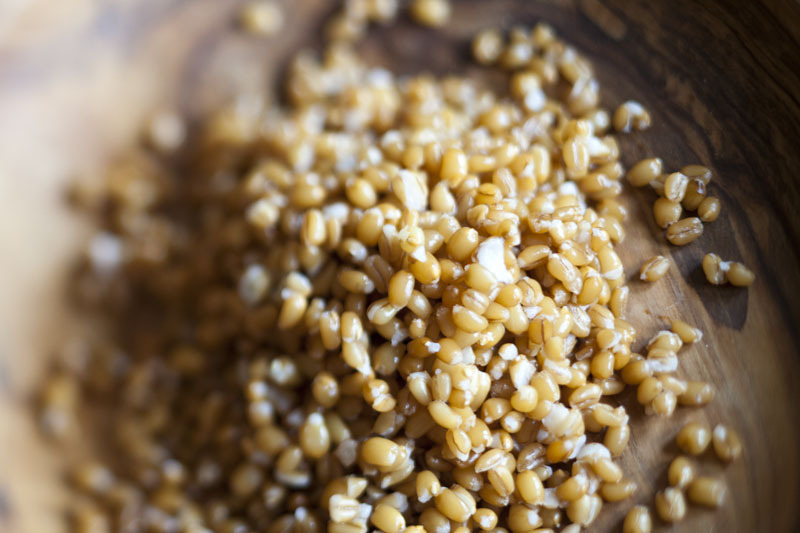 And that, in turn, may actually help you to not overeat—one study found that people feel fuller after eating buckwheat than after eating other grains. Recipes here. 10. Spelt -Like whole wheat, ancient spelt is sweeter, nuttier, and higher in protein than its processed relatives. Both are also good sources of manganese and copper. 11. Turmeric - Turmeric, used in holistic medicine as a digestive aid and wound healer, can also serve as an anti-inflammatory, so reach for the curry (turmeric is a primary ingredient) when nursing a toothache or a sprain. 12. Oregano -Superstar levels of antioxidants mean that a half teaspoon of dried oregano has the benefits of a spinach salad. Oregano has the ability to act as an expectorant, clearing congestion, and can also improve digestion. 13. Cinnamon -Cinnamon is the gold medalist of the spice rack, with one of the highest antioxidant levels of all herbs and spices. It also has a positive effect on blood glucose levels, so adding it to foods can keep you feeling steady and satiated. Recipes here. 15. Miso - Deeply flavorful miso, a fermented soybean paste, is a great source of low-calorie protein (two grams in a 25-calorie serving). It also contains B12 and is a good source of zinc, which helps the immune system function properly. 16. Yogurt - Like the milk it's made from, yogurt is a very good source of calcium, phosphorus, and protein. Unlike milk, real yogurt also contains probiotics, the good bacteria your digestive system needs to process and benefit from all the other things you eat. One, Lactobacillus casei, boosts immune response. Recipe here. 17. Sardines - Wild-caught sardines are low in mercury (unlike some types of tuna) and high in vitamin D; a three-ounce serving has as much calcium as a cup of milk. Even better, they're one of the Monterey Bay Aquarium's top picks for sustainability. 18. Canned Salmon - King, sockeye, and coho salmon have more DHA plus EPA omega-3 fatty acids than almost any other seafood, as well as some of the lowest mercury levels. Nutritionally, wild-caught Alaskan canned salmon is as good as fresh, and it costs a fraction as much. The Monterey Bay Aquarium also champions this fish's sustainability. 19. Sesame Seeds - Tiny, tasty sesame seeds contain unique lignans (or plant compounds), including sesamin and sesamolin, which can help lower cholesterol. The seeds are a good source of calcium, phosphorous, and zinc—as well as copper, which research suggests may help maintain strong bones. 20. Walnuts -Of all nuts, walnuts contain the most alpha-linolenic omega-3 fatty acids, which lower LDL (bad) cholesterol and may reduce inflammation in arteries. Walnuts are also a great source of antioxidants, vitamin E, selenium, and magnesium. 21. 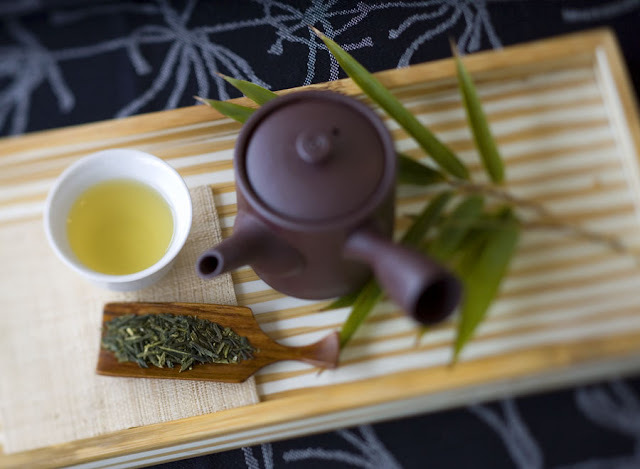 Green Tea - While all tea (black, white, and green) has protective antioxidants, green tea contains the most bang for your sip. It's full of a metabolism-boosting compound called EGCG, which prevents damage to the heart muscles. Green tea may also improve bone density, but avoid adding milk to your cuppa—it may reduce the body's absorption of the catechins. 22. Dark Chocolate - It's just like chocolate to crash the party, but it's no mistake that the dark variety confers health benefits. Dr. Aviva Romm, President of the American Herbalists Guild, says that the high antioxidant levels make it a perfect indulgence. Chocolate is high in flavonoids, substances that have been shown to improve blood flow, suppress coughs, improve memory, and give you hydrated, smooth skin. A 1 oz. dose of chocolate a day is now officially the doctor's order. 23. Flaxseed -Omega-3 fatty acids are a hot nutrition buzzword, and for good reason—they speed up cell metabolism and reduce inflammation in the body, reducing triglyceride levels and lowering blood pressure. One of the easiest ways to get them is from ground flaxseed. For a fast hit, sprinkle some on oatmeal or baked dishes. 24. 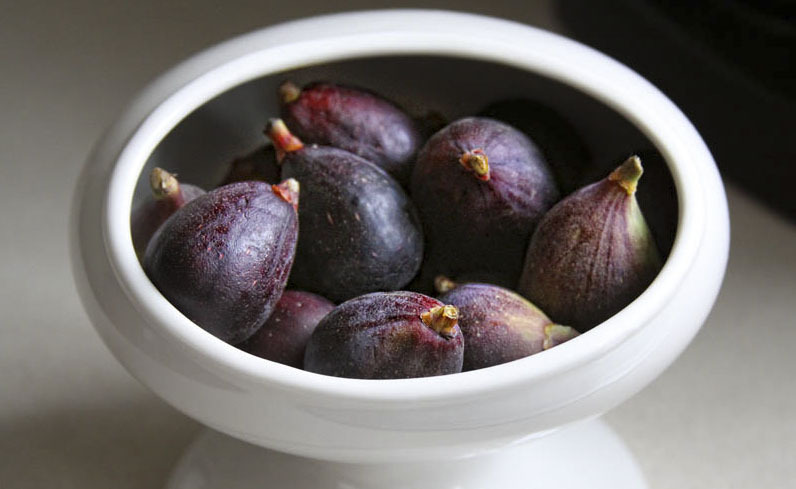 Figs- Used for millennia is ancient Mediterranean and Middle Eastern cultures, figs are an excellent source of dietary fiber (almost 2 grams each!). They're also a good source of calcium and potassium. Recipes here. 25. Seaweed (Hijiki, Wakame, Kelp, Nori) -Think of eating seaweed as going directly to the source—this is where fish procure their Omega-3's, meaning you can skip the fish and go straight to the seaweed. Seaweeds are also a two-for-one deal, nutrition-wise: They contain nutrients commonly found in green, leafy vegetables, along with most minerals found in the ocean. They're also full of magnesium, which may prevent migraines and asthma attacks. Grate nori on popcorn and eggs, add wakame to soups, and marinate hijiki with sesame oil for a quick salad. Referenced from Oprah's website link below. As we start the New Year we are bombarded with television commercials telling us how to lose weight. Ok, fine, so we did over eat just a little during the holidays. And we all know there is a growing problem with childhood obesity. As an attempt to help everyone reach their goals for the New Year we would like to give you some “baby” steps to help you begin forming good practices. We will start slowly and you will eat in a way that is good for the body, the soul and even the earth. 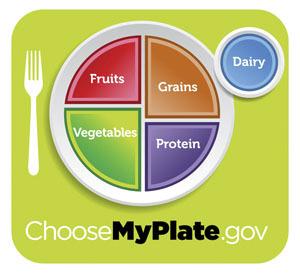 You will eat REAL food, no powdered dehydrated form or diet food, no tricks, and no pills, nothing weird or outlandish. Just good guidelines that will help improve your health forever. We will do a whole series of healthful eating blogs and the first is about building a NATURAL pantry. Natural has been defined many ways but to us it means whole: straight from the plant or animal: or made with whole ingredients, very little processing and as few added flavorings, and preservatives as possible. This keeps nutrients at their highest and original flavors intact. Each time you reach into the pantry for an ingredient it will be a healthy, nutritious choice that will taste good AND is good for you. You don’t have to start all at once but when it’s time to replace pantry items try a new (better) natural version. 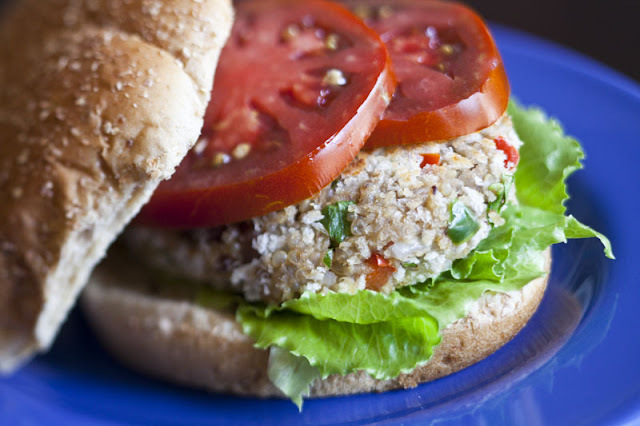 Below is a recipe for a Veggie Burger to utilize these items from the pantry. 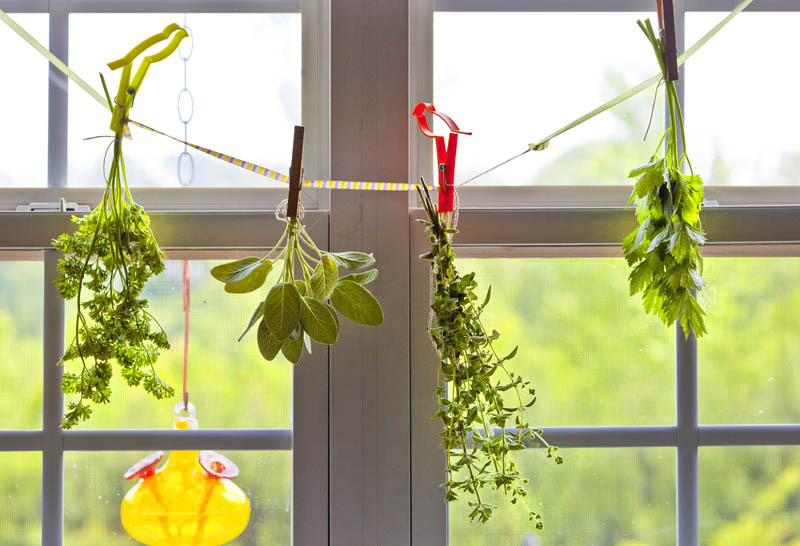 Dried thyme, sage, & oregano, etc. Fresh parsley, basil, mint, or cilantro, etc. In the bowl of a food processor, combine 2/3rds of the peas/beans and the cream. Process until smooth. Transfer to a large bowl and fold in the rest of the peas/beans, quinoa, onion, garlic, red and green pepper, parsley, basil, cayenne, salt, ½ cup panko and eggs. Stir to combine. Refrigerate for 30 minutes. With damp hands, form the mixture into 6, 4 ounce patties. With the panko in a shallow dish, coat each patty and place on a baking sheet and refridgerate for 30 minutes. Heat a non-stick skillet over medium heat. Spray the pan with non-stick spray. Cook the cakes for 3-4 minutes per side or until brown, and warmed through. Place on a cooling rack to cool if freezing. Once the oil becomes dark, carefully wipe the skillet with a paper towel, spray the pan and cook the remaining cakes then cool to freeze. These can also be cooked in a 375°F oven on a sheet pan srayed with non-stick spray for 30-35 minutes, spraying the top and flipping half way through cooking time. 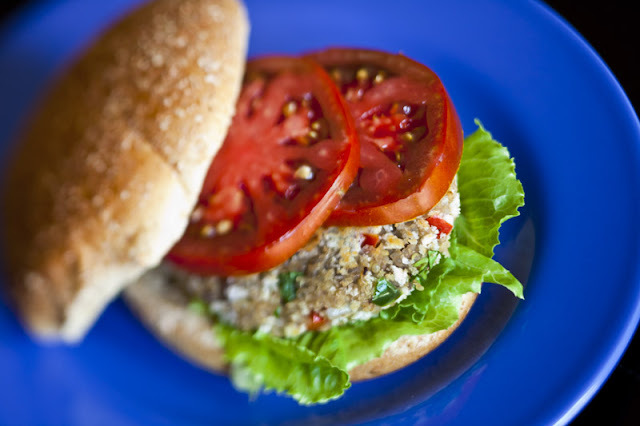 If eating right away, serve on buns and fixins as you would a burger. Note: These can be formed into small hors d’ouvres size cakes but the cooking time will be reduced to 1-2 minutes per side. To Freeze: Follow all instructions above through the cooking of the cakes. Allow to cool completely then wrap individually with plastic wrap and freeze until froxen solid then store in an airtight container. To Re-heat: In a 350°F oven, warm the cakes through, about 30-35 minutes from frozen. * To cook quinoa: Quinoa increases 4 times it size when cooked. 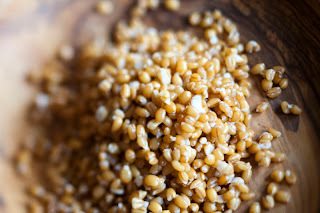 Using a ratio of 2:1 water to quinoa; Rinse your quinoa first then combine in a pot and bring to a boil. Reduce the heat to low and cook for 12-15 minutes in a covered saucepan. The quinoa will be translucent when cooked through.